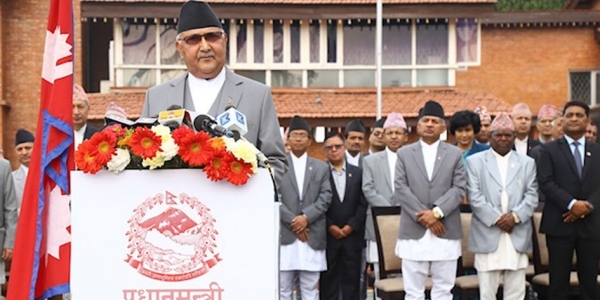 “The Government of Nepal is committed to implement the disaster risk management policy. 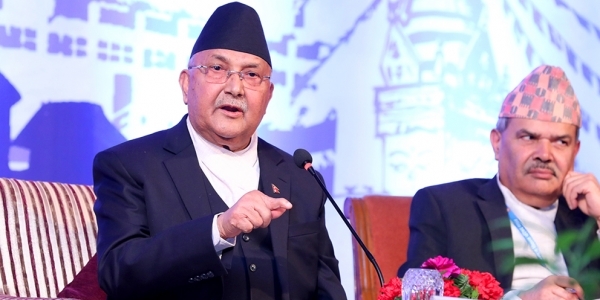 Every disaster teaches regarding humanitarian preparedness for protection from natural disaster and the crisis of physical materials as well as how to make life adaptable for the future,” the Prime Minister said. I am happy to be in this gathering of disaster management experts and stakeholders. I thank the organizers for choosing Kathmandu as the venue of this regional meeting. The theme of today’s deliberation is important for us because owing to the uniquely steep geography and fragility of mountain ecosystem, Nepal has remained a disaster-prone country. Human civilization has confronted severe challenges to arrive in this stage. Among such challenges, natural disasters and pandemic diseases stand out as most frequent phenomena. Sometimes earthquake and volcano, sometimes flash floods, typhoons and land-slides; sometimes forest fire (infernos)and cold wave; sometimes lightning and hailstorms; sometimes outburst of glacial lakes and sometimes epidemic and endemic have seriously endangered the human civilization. The human being has crossed the ice age and fit itself into the system of survival of the fittest. In every stage, where there is a challenge, human being has faced it skillfully. The development of science and technology has contributed in predicting some of the disasters. However, the combination of such disaster related risks, have increased our vulnerability and endangered lives and livelihoods of our people, damaged infrastructures and weakened our development efforts. The human casualties, environmental loss and economic impacts of such events have been significantly high over the years. Climate change and its multi-dimensional impact has further compounded the risks and vulnerability. We are situated on an active tectonic movement area that increases risk of earthquakes. The devastating earthquakes of 2015 and their deadly impacts remain afresh in the memory of our people. Through resilience and collective action on the part of the government, people, community, civil society and non-governmental partners, we were able to respond to the immediate rescue and relief needs and later to embark on the path of reconstruction for building-back-better. The support of our friends in the international community, both government and non-government, remained immensely valuable in all those efforts. 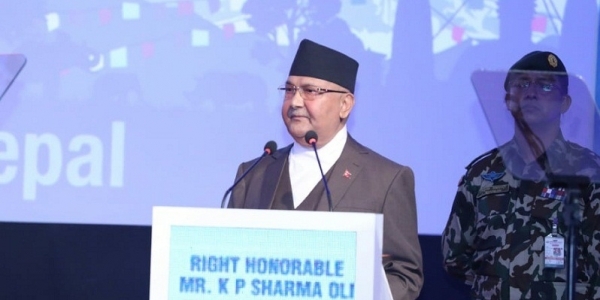 Learning from the past lessons and experiences as well as from the experiences of other countries, the Government of Nepal has made sincere efforts both in the post-earth quake reconstruction as well as in building of the communities’ resilience to the potential future risks. We have devised different coping mechanisms, created institutions and built their capacity, strengthened and streamlined legal and policy frameworks for building resilience and preparedness, reduce disaster risks and manage its impacts. In 2017, Nepal enacted a comprehensive Disaster Risk Reduction and Management Act and later formulated National Disaster Risk Reduction Policy and Strategic Action Plan for 2018 to 2030 through a highly participatory process. With a longer term vision of disaster risk reduction and preparedness in mind, the Government of Nepal is fully committed to the implementation of national action plan and Sendai Framework for Disaster Risk Reduction and its four priorities and seven targets. Reducing the disaster risks has been integrated in our national and local level plans and it forms an integral strategy of achieving sustainable development goals. Vulnerability of human lives is profound in every major natural blow. However, calamities and disasters are not induced by the nature alone. We have seen and experienced around the world many calamities induced by unsustainable human actions. With our collective efforts, human-induced disasters can be prevented. We can also reduce the impact of the natural disasters and make people better prepared to cope with the unforeseen eventualities. Every major disaster adds miseries and sufferings to the lives, properties, and livelihood of the people. However, every major disaster teaches invaluable lesson of how to survive such crises and helps innovate ways and means to be resilient. This probably is the secret of survival of human civilization. After every major calamities, human societies have emerged better prepared and more resilient. This is where comes in the importance of social innovation for making communities more aware, resilient and better prepared. Because natural disasters, some of them are unpredictable and they know no borders. Preparedness alone can reduce the vulnerability and prevent loss of lives and properties. Information is critically important in disasters that can save lives. Technology can support us for making informed decision based on science and research rather than intuition. Given the specificity of Nepal and our typical geography, we need to remain prepared for a variety of disasters, instill awareness among the people, and utilize tools of preparedness, such as early warning system, emergency response and relief, and arrangements of critical logistics. In our own experience, geologists and experts had vaguely warned us about the possibility of major disaster in the Himalayan region. Yet the earthquake of 2015 struck us when we were not fully prepared. Adequate preventive measures could have minimized the death toll and prevented damage and destruction. However, the Government of Nepal was quick to respond, within hours, utilizing its available resources and institutions. As we continue to the post-earthquake reconstruction and rebuilding process, our efforts have received needed momentum in the past several months. We intend to complete the reconstruction process as soon as possible and ameliorate the suffering of the people at the earliest. We are serious to learn from the past, preserve institutional memory and utilize that memory for the benefit of the posterity. We are fully aware that sustained local, national, regional and international efforts with adequate resource backing are essential to realize those international commitment as outlined in the Sendai framework. I am confident that your deliberations in this program would come up with useful sharing of experience and enrich the disaster risk management discourse for the practical benefit of the people in need. I wish for the success of this meeting.